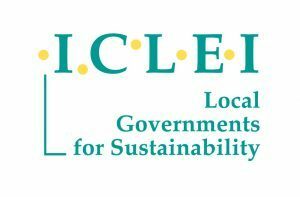 Check out the Resilient Cities 2019 program overview below or download the pdf overview. While it will be still subject to adjustments, the Congress’ structure offers a synopsis of the topics we will discuss, the speakers and the special elements for this 10th anniversary edition! Click on the sessions’ titles to get more information. Adapting to climate change requires us to apply new and more efficient solutions to foreseeable problems. This is where innovators can play a crucial role: from expanding insurance schemes to combine technology and resilience management together, our Innovators will showcase their work in our exhibition area. Are cities meeting goals for equitable environmental growth? The Fire and Rescue Service of the Federal City of Bonn offers Resilient Cities participants a site visit to the main Fire and Rescue Station No.1. This fire station is one of five full time fire stations scattered across the whole city which are responsible for fire protection, technical response, rescue service and disaster management. The visitors will get an insight of the fire and rescue service, their tasks and resources and will experience their vehicles. To learn more visit our dedicated page. During our north route tour we will present examples of adaptation measures taken by the Bonn city administration as well as the population living in flood prone areas. Therefor, we will have a walk through Bonn Beuel. After our visit to the pump unit of the sewage plant we will walk to the newly established dykes. We will introduce the civil protection system of Germany and particularly highlight the importance of volunteers there. Both tours will take approximately three hours and require no specific equipment or fitness. As we intend to walk outside, you might want to refill your water bottles and bring an umbrella. We will visit the flood risk area Bonn-Mehlem in our south route. Here, technical infrastructure and an early warning system were installed deal with flood hazards, to protect inhabitants and infrastructures in case of flooding due to heavy precipitation events. We will also discuss the historical development of the Rhine, historical floods in Bonn and city-scale flood management. Droughts, low water and the cascading effects and consequences will also be addressed. Being Green Capital of Europe 2017, the city of Essen became a blueprint for the transformation of a city in the heart of the Ruhr metropolis. The times of industrialization with expansive coal mining and steel production have given face and significance to this region, and the Ruhr area has thus become home to over 5 million people today. In a landscape, that 200 years ago was home to wild horses and farmers, these driving forces have created a metropolitan region, which is today the third biggest agglomeration of central Europe. The Zollverein colliery was once the most productive coal mine in the world and Krupp‘s steelworks are still a symbol of German steel processing industry today. But global changes in production and goods management have initiated another wave of change in the Ruhr region as well, and caused a crisis in the core industries of the region. See how industrial legacies have been transformed to green and blue infrastructures supporting biodiversity, sustainable water management and quality of life for the neighborhoods. What is the Potential of Hybrid (grey-natural) Infrastructure solutions?